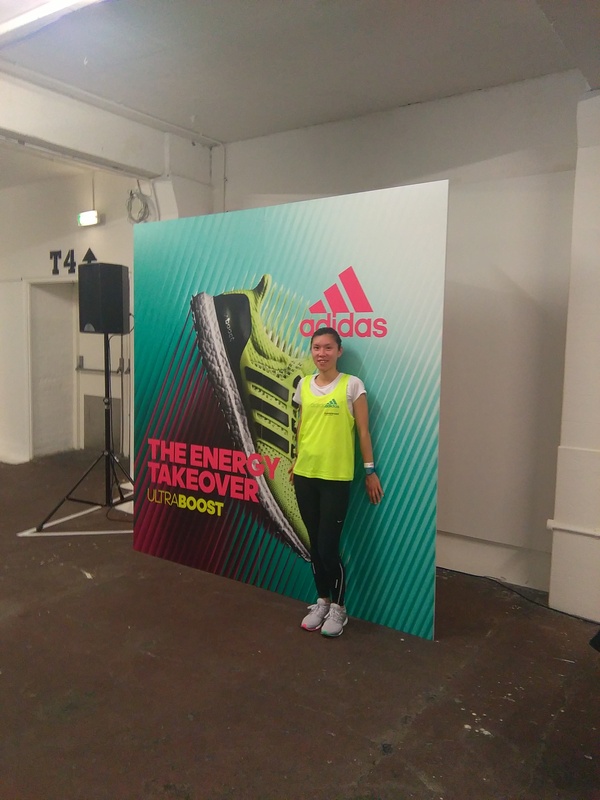 A couple of weeks ago Adidas and Runners Need hosted the Energy Takeover run to launch the new “Ultra Boost” running shoe. 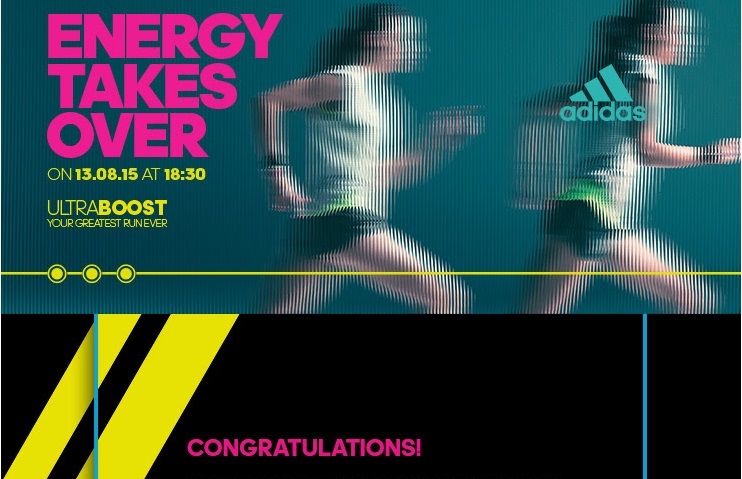 Earlier on in the year Adidas also hosted another Energy Takeover race, but sadly I missed out. This time I was lucky and got a place on the 10km run. 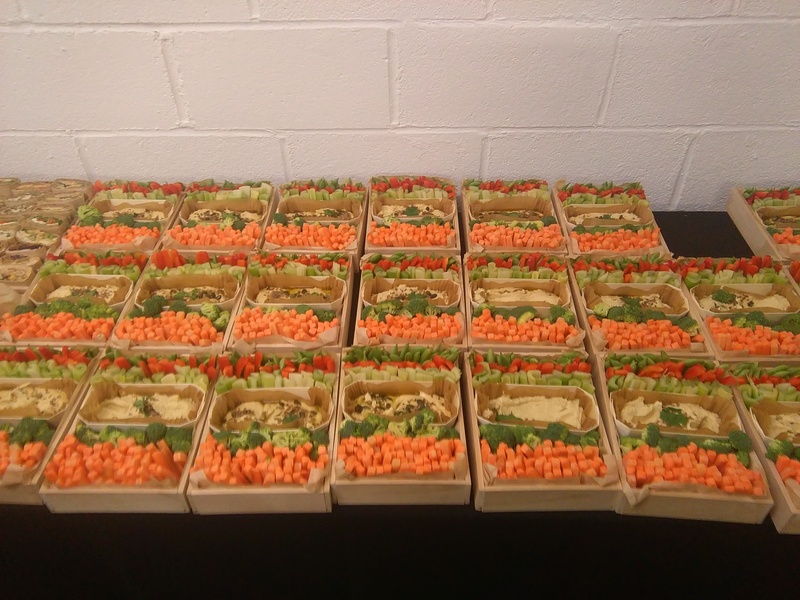 This was all very exciting. 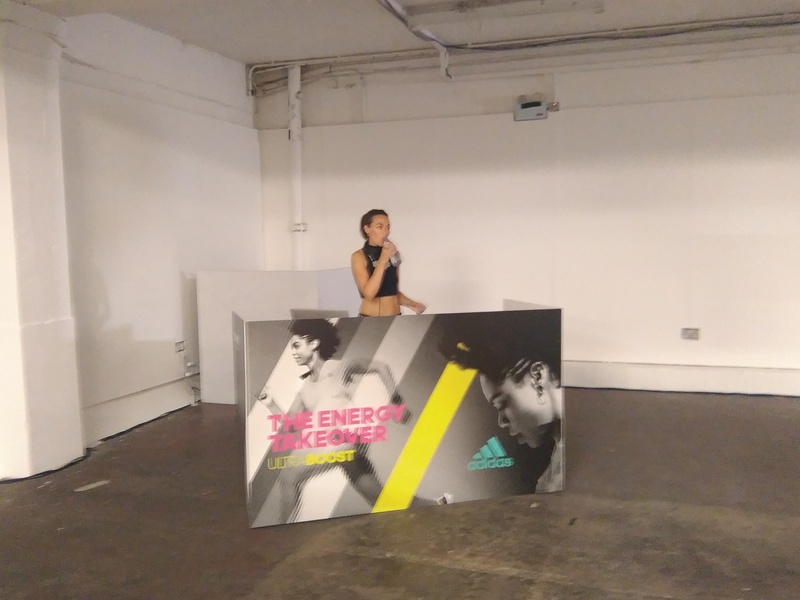 We were running to a secret location somewhere in Shoreditch and a surprise at the final destination along with a Q&A session with British long distance runner and European Gold Medalist Jo Pavey. I arrived at Runners Need Great Portland street, where we were given a bib to wear for the run. I also checked my bag in where we were told it will be transported to the run destination. 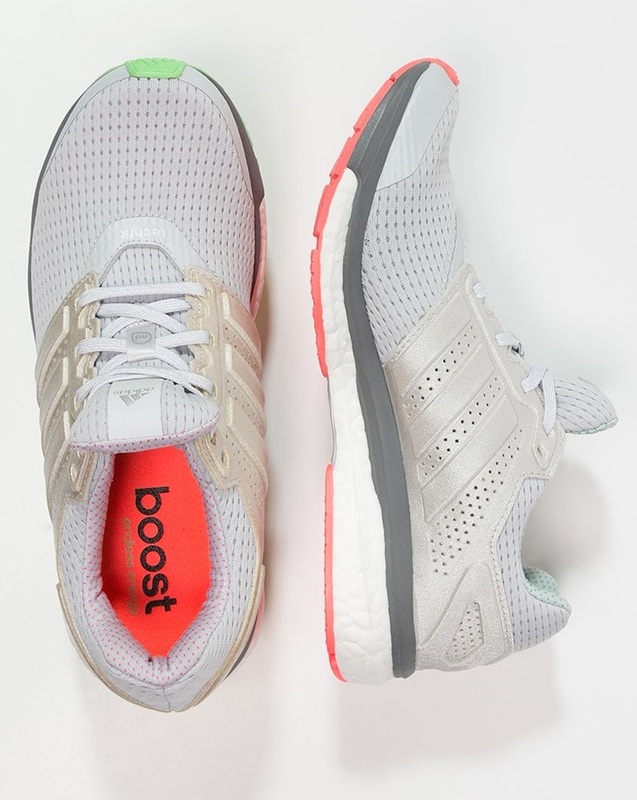 There was various styles of Boost trainers to trial, and I definitely could not pass off the opportunity to run in a pair of Boost trainers. 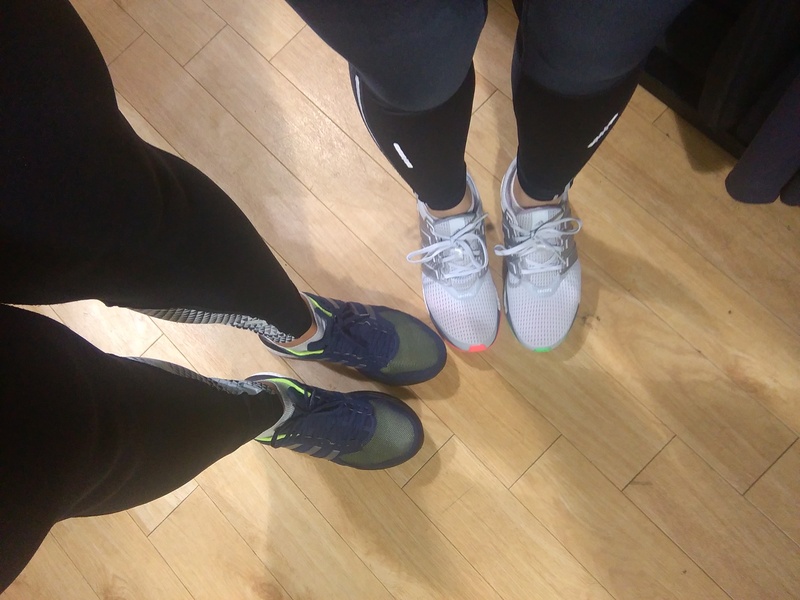 I was delighted when I was given a pair of SUPERNOVA GLIDE 7 CHILL a cushioned running shoe in light grey heather & silver metallic with flash orange and green soles. They looked and felt amazing when I put them on my feet in… so comfortable. Will be able to give you a verdict at the end of the run. I anticipated the weather to be cold as it had rained earlier on during the day, surprising it was a very humid evening. We all set off together, but obviously people were running at there own pace. There were a mix of males and females; some very competitive as they seems like pros… too fast for me! There were pacers that guided us throughout the run. I started off gently and slowly got into a comfortable pace… it was very a hot evening. We ran through some of London’s most popular and attractive sights; Oxford Street, Soho, Waterloo bridge, Southbank, Tower bridge. 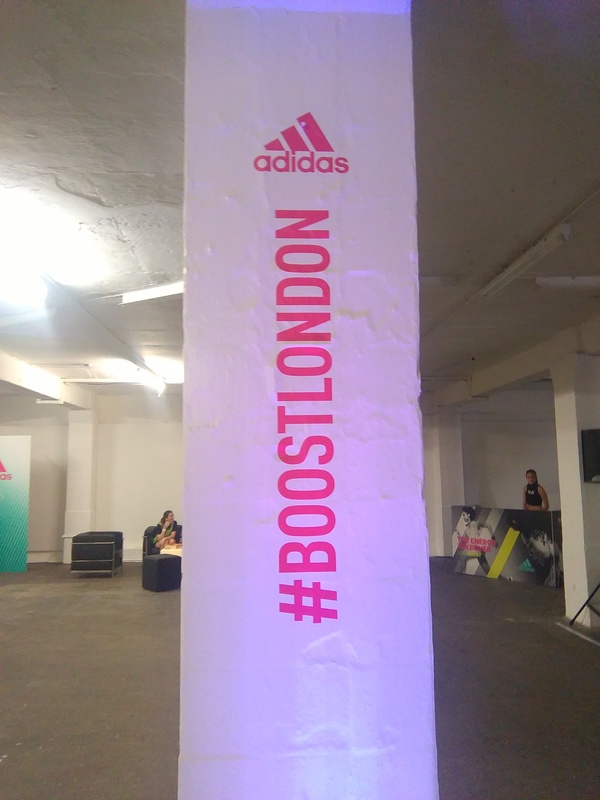 There were surprises along the way where we were greeted with Adidas run coaches at Tower bridge giving us a right boost with high fives and big cheers and a camera man. I was almost at the final destination, seeing other runners ahead of me. I started picking up my pace and headed toward the Old Brewery near Brick lane. We were ushered towards the entrance and were told it hasn’t finished yet… keep on going! To my surprise there was a set of stairs to run up and when I reached the top I was delighted to be greeted by cheerleaders, a crowd, claps and cheers. More Adidas coaches cheering us on and running with me for the last meters. I could see the finish line and I had to do it in style a SPRINT finish! A totally EPIC run. 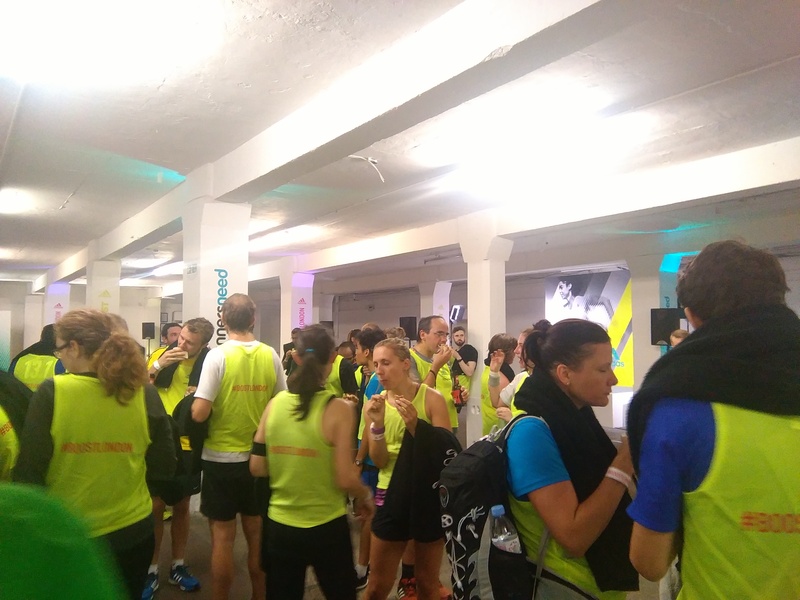 What a great way to finish… When entering the first room after the finish we were handed towels, this was just what we needed… sweat dripping. Then I followed the others and entered into the 2nd room… WOW! a party with music pumping, a DJ hitting the decks, food, drink and Beer. 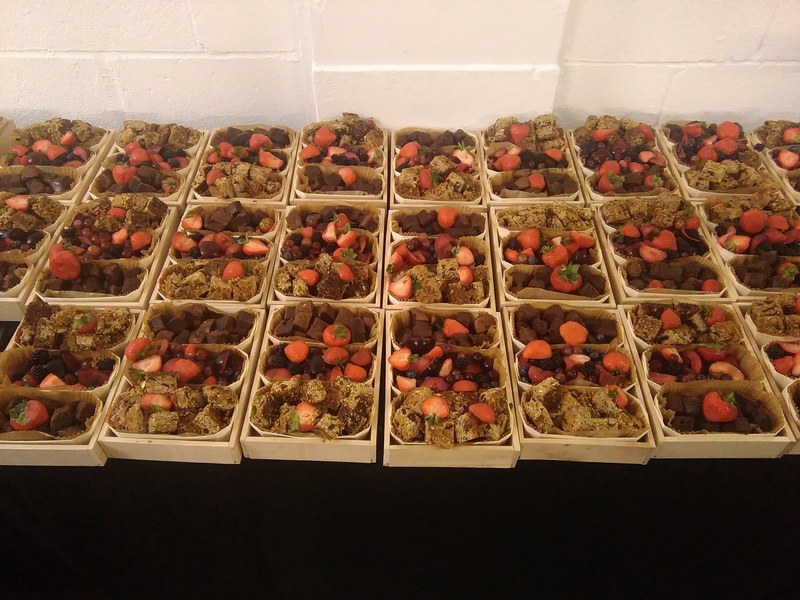 This was fabulous! 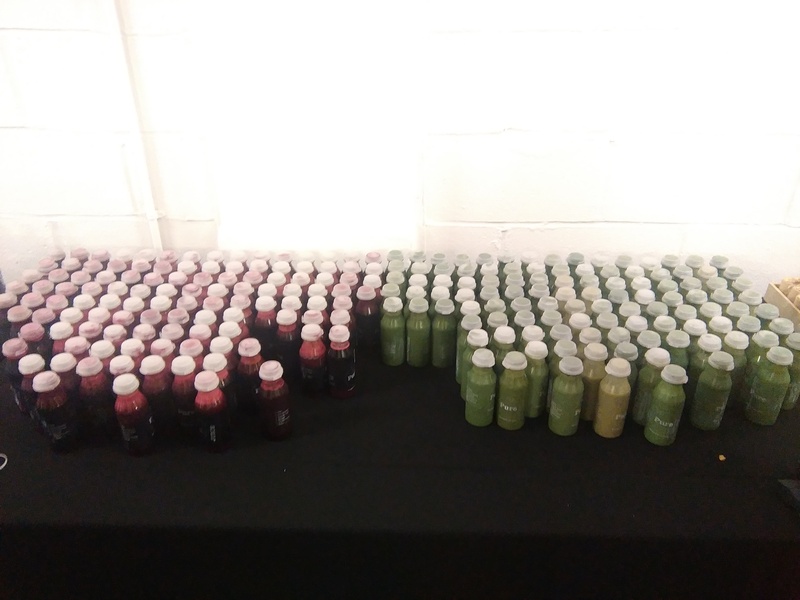 The delicious juices and food was supplied by Pure. 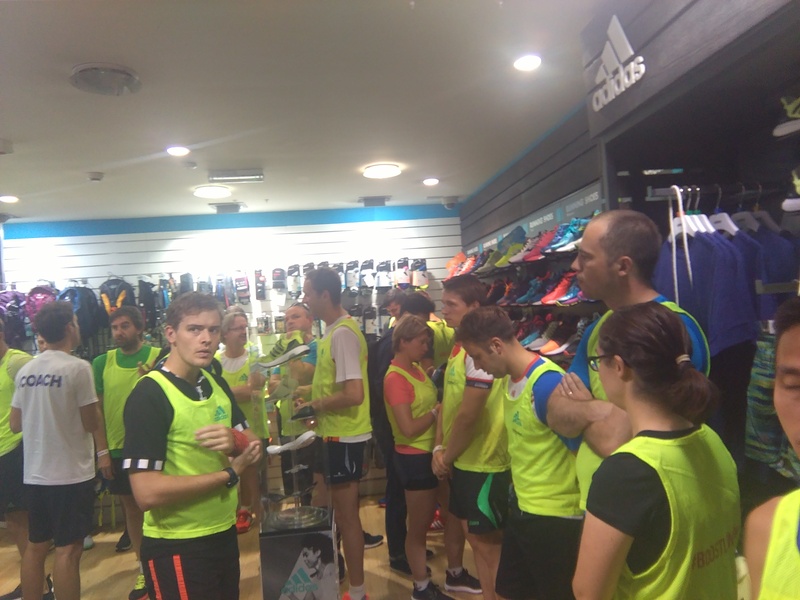 The atmosphere was amazing, everyone was enjoying the food and a chance to catch up with others from the 5km and 7km runs. 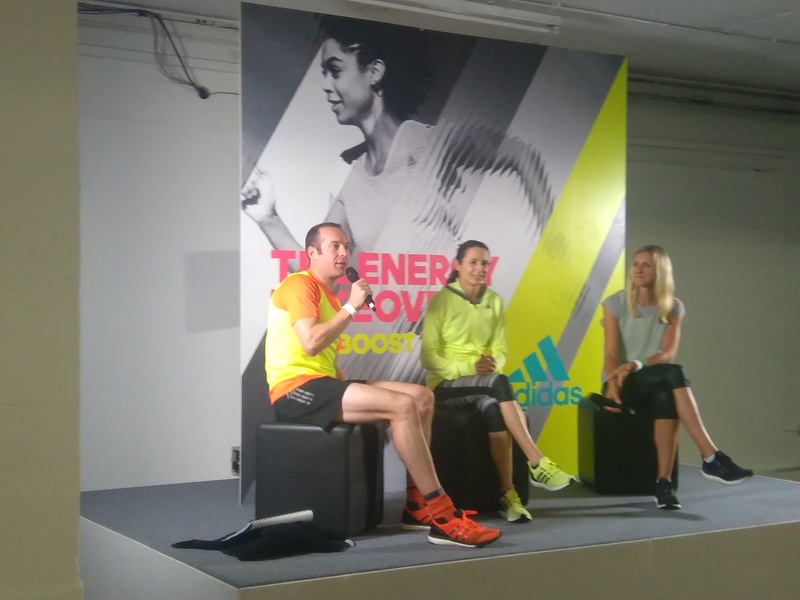 Then it was time for the Q&A with special guest Jo Pavey and Liz Yelling (British long-distance runner). It was great to listen to both runners talk about their experiences. The trainers; SUPERNOVA GLIDE 7 CHILL were fantastic really comfortable, would recommend this shoe for running. 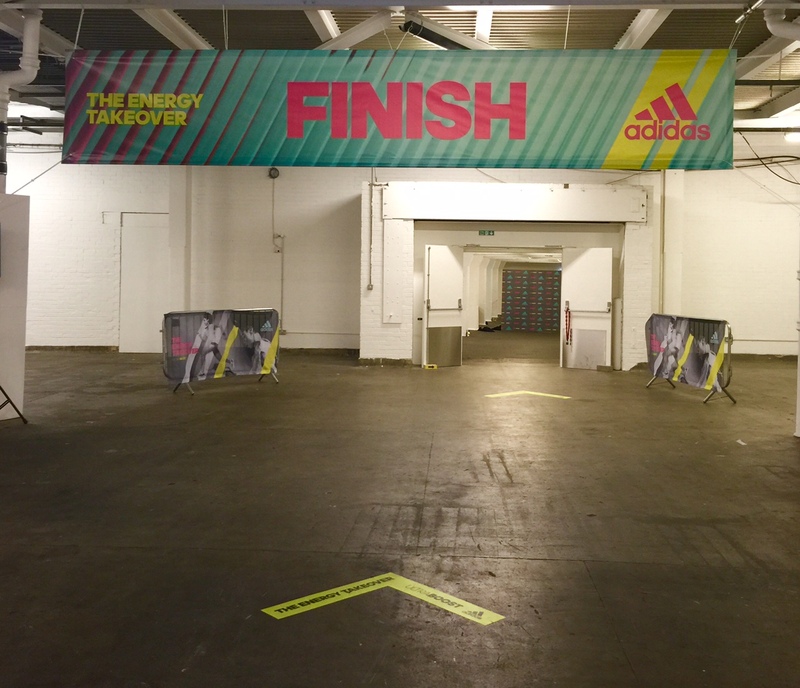 Thanks Adidas and Runners Need for a great evening, loved the epic finish!